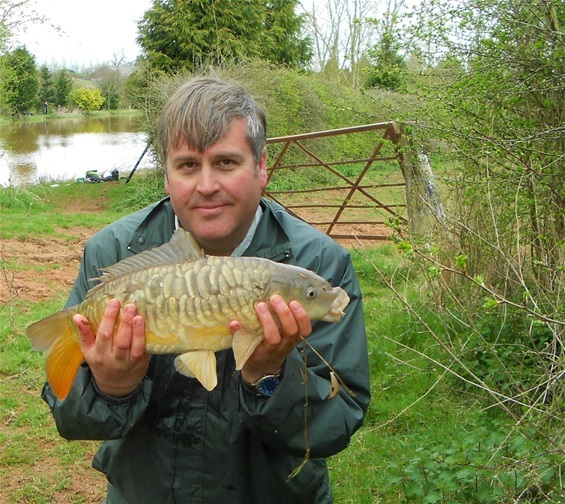 CAN WE GUESS A CARP'S ORIGINS FROM ITS DORSAL FIN? IT'S ALL IN THE OUTLINE? 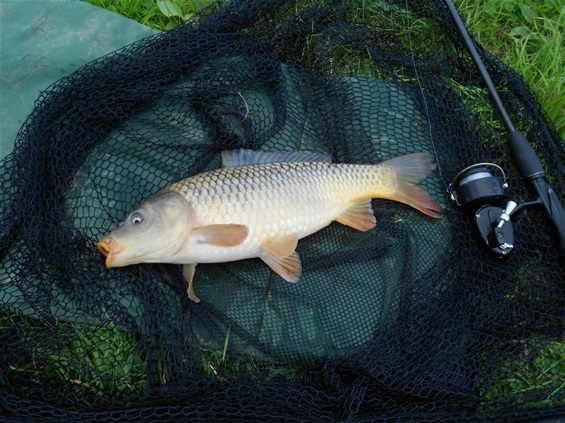 IT has been observed, by many anglers, how the tails of carp can differ dramatically in shape and size. 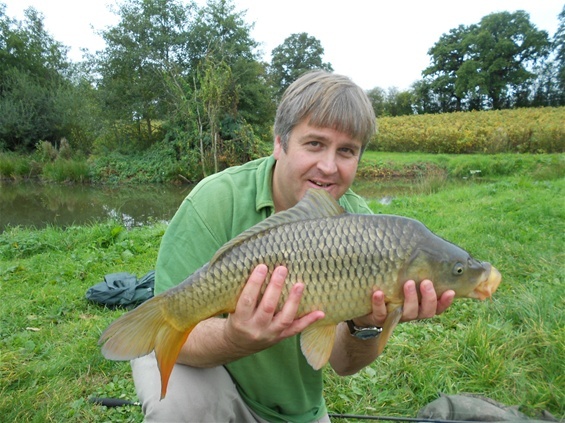 Wildies tend to have deeply forked tails, for instance, while the caudals of king carp tend to be more rounded. But it is my experience, and observation, that there is even more variety in the shape of the dorsal fin; and my contention is that some educated guesses can be made concerning the origins of carp by studying the dorsal fins of carp. I base this opinion on the study of cased fish from the nineteenth century and the early twentieth century, and in most of these instances I have looked at photographs, not the fish themselves. In other instances I have looked at images of fish from Redmire Pool, - the famous Leney strain, and of course I have used photographs of fish I have caught myself. This is easier said than done; - not because I catch so few carp (! 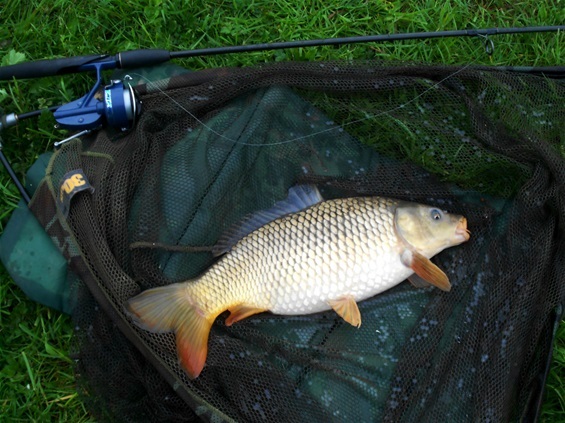 ), but because so few carp raise their dorsals for the camera; the shy things! Nonetheless, I shall make an attempt to put my thoughts in order, and if those thoughts then seem bumbling and amateur to the reader, then the gnome must doff his hat and accept that it is so. I am not a scientist, merely an enthusiastic observer, you understand? Still, I shall begin by saying that the Leney-type dorsal is easy to classify, in my view, and there are two main types. 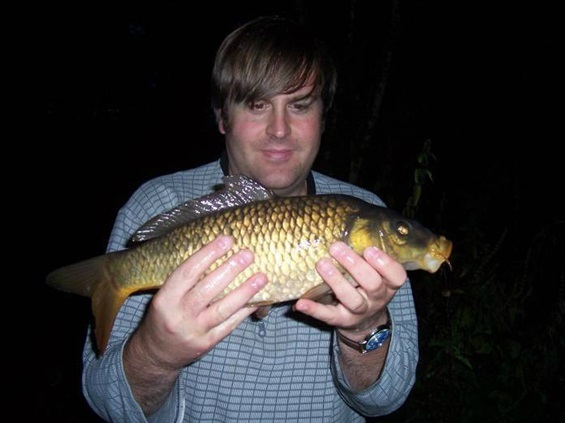 In studying the dorsals of carp, an angler must look to the front of the dorsal and with a fish of likely Leney origin we usually see one of two things. Firstly, there is the “Clarissa-type” dorsal, which is evident on some images of Walker’s great fish. Now before developing my argument, I must acknowledge that carp dorsals often start with a little "stub", and this is not what I mean by the main front ray. The main front ray is the first substantial ray of the main sweep, and will lie immediately behind that little stub. Now, with many Leney's, moving from the main front ray we see a short flat or gently upwards sloping area, leading to a sharp or slightly rounded spike, like a little mountain, then a steep descent to the rest of the dorsal. The other Leney-type (2) displays a straight run from the front main ray, then a vertical or almost vertical drop to the main sweep of the dorsal. Early and many modern king carp, judging from cased fish and contemporary fish, do not seem to have dorsals like this; instead the front main ray seems to be the peak of a large triangular “spike” before the long sweep of the dorsal. If one looks at the Warren Pond carp, on page 63 of Kevin Clifford’s “A History of Carp Fishing Revisited”, you will see what I mean. This type of dorsal, I believe, belongs mainly to non-Leney-type king carp, some of which will have ancient origins, going back at least to the late nineteenth century. But with other old strains, such as the great commons of Cheshunt that were landed before and shortly after the First World War, we usually see something rather different – a straight or gently sloping section from the main front ray, blending in more gently with the main sweep. This is quite different to the Leney-type (2). Again, referring to the excellent Clifford book, I direct readers to page 104 and the record common of 1914, caught by John Andrews. I must admit, the straight run from the main ray on the other Andrews common, shown on the same page, is very short and rounded. It gives an almost Leneyesque impression, but one must always expect variations in nature. 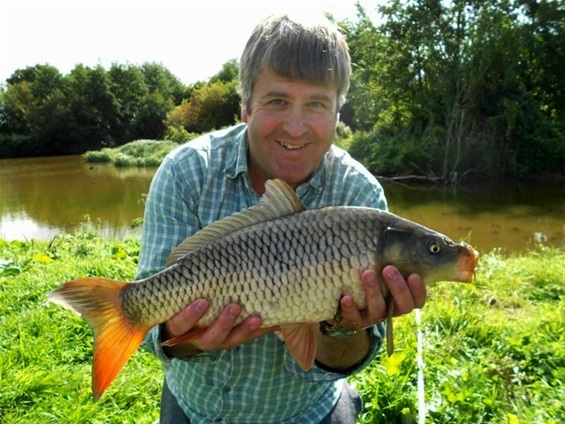 I am, I realise, talking about significant generalities here, and the study of wildie-type carp I have caught, and king commons too, makes me believe that this straight run from the main ray, together with a gentle merging with the main sweep of the dorsal, is likely to be a “wildie” trait. Notice, I do not believe that the Cheshunt fish were genuine wildies. As Kevin Clifford points out, their shape alone tells a rather different story. But we still do not know the origins of these fish and, while they were clearly cultivated fish to some extent, it would not surprise me if their parents were only a few generations away from the fish we call “wild carp”. That short line from the front ray and then the "spike" may be a Leney trait. It is seen on Redmire fish, including some images of Clarissa. 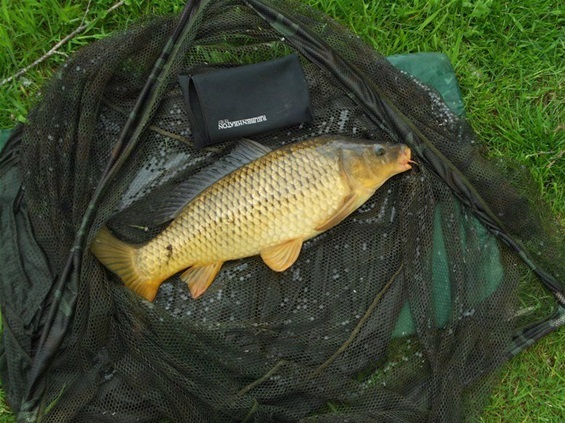 A small common from Ashperton Moat, a water rumoured to have been stocked by Leney. Note the Leney-type (2) dorsal. In my view a "spike" immediately behind the main ray is indicative of non-Leney "king" origins. The little front "stub" is very visible here. A Leney-type 2 dorsal is displayed by this common. I find this one hard to define - it appears to be a non-Leney-type king "spike" - but that spike's very shallow, so shallow, it's almost a wildie-type dorsal. This fish may not be so far from wildie origins, although it also has strong king characteristics, such as that long barbule. Whatever it is, - what a gorgeous carp! I've only caught one carp with a "domed" dorsal like this - a category all of its own, or just an example of the bewildering variety of shapes? 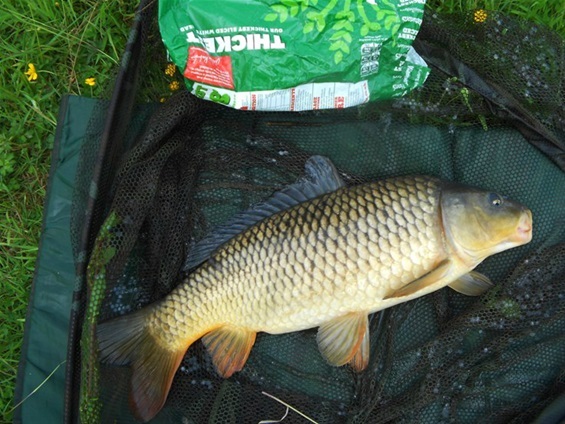 The strangest carp dorsal I've even seen - an abbreviated dorsal - not caused by any injury, but as a mutation. 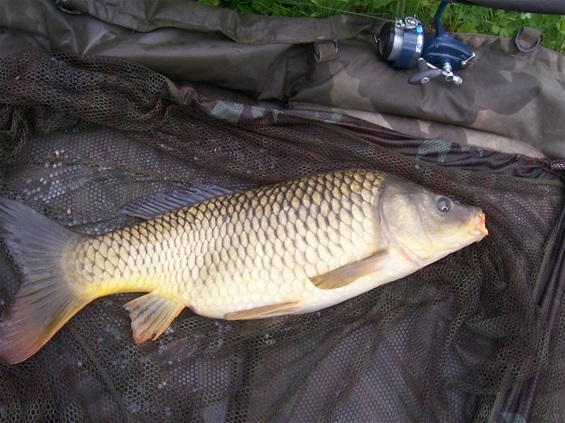 Still a lovely carp though.